OK, so we know that the “other” houses have their strengths. Hufflepuff is has loyalty and dedication, but...a badger? Ravenclaw has knowledge and wit but they can be so serious. And Slytherin? You know what? We’re not even going to go there. But let’s be honest, EVERYONE really wants to be in Gryffindor. If you sat under the sorting hat, you’d be dying to join Harry, Ron, Hermione, Neville, and Professor McGonagall. So if you want to become a part of the coolest house at Hogwarts (and you’d like to stay cozy while trick-or-treating), you'd better deck yourself out like the lion heart that you are! This cool maroon and gold knit Gryffindor Hat will keep your head warm during winter quidditch matches or while you’re outside conjuring a snowman! 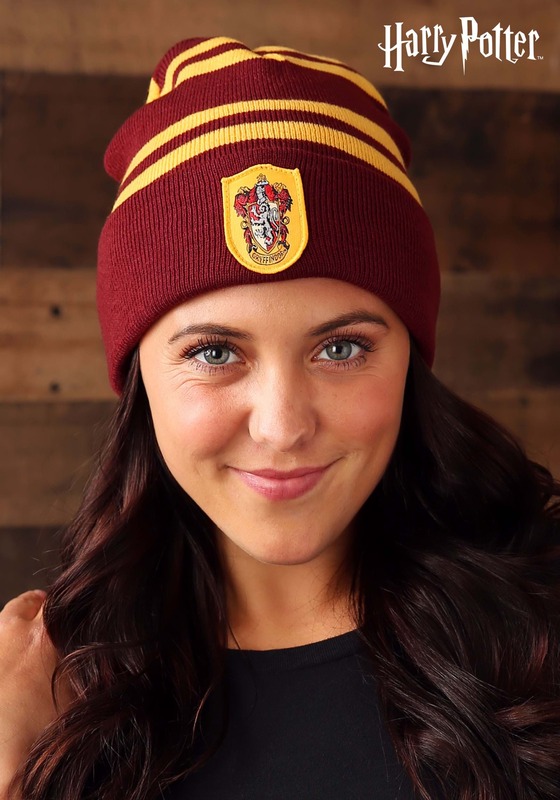 Pair this crested beanie with the matching scarf and be on your way to greatness--or at least Transfiguration--in style.